Have you fallen victim to misinformation? There are so many myths surrounding proper hair care that get passed down from generation to generation and taken at face value. We’ve known for a while now these myths aren’t true, but word of mouth means these myths are still being propagated to this day! Let’s examine and debunk these myths so you can arm yourself with knowledge (and some of our favorite products) and improve your hair care regimen! While it’s true that brushing your hair has obvious benefits – de-tangling for one, distributing natural oils in your hair for another – the idea that the more you brush, the better for your hair is a total misnomer! Over-brushing can lead to frizzy hair in the short-term, and even breakage in the long-term. Make sure you’re brushing your hair only when needed – gently! – working your way to your scalp from the bottom up. Using the right brush is important. Cheap brushes can irritate your scalp and cause more harm than good. 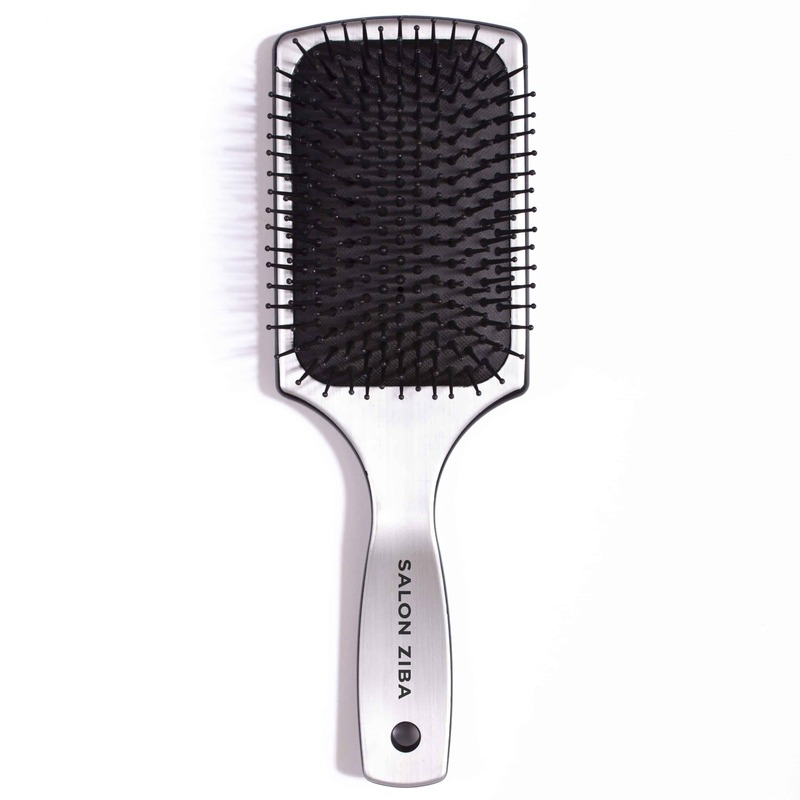 Salon Ziba’s Silver Paddle Brush is made with epoxy ballpoint tips to protect your hair and scalp. This commonly-held myth may make sense to you. You may have even experienced this so-called fact first hand. So, how is this a myth and not fact? Hair grows from the scalp, not the ends. Trimming your hair has absolutely no effect on how fast your hair is growing. The reason it may feel like regular trims contribute to your hair length is because it helps control split-ends and breakage, two things everyone trying to grow their hair out should avoid! 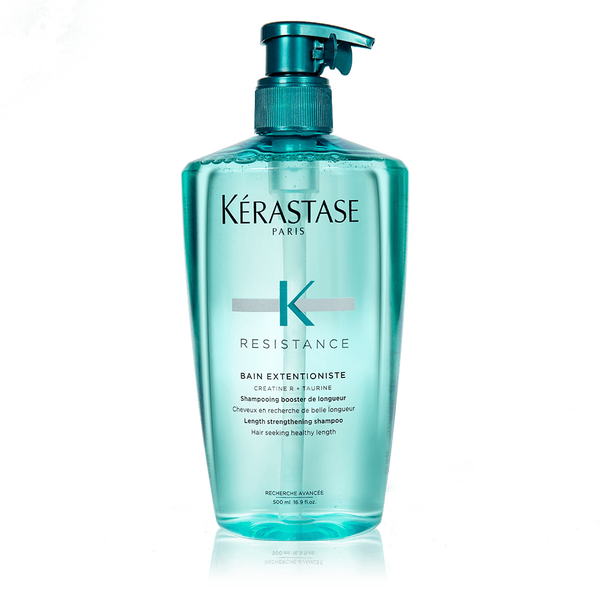 If you’re looking for a way to boost the length of your hair, we recommend Kerastase Bain Extentionise shampoo. It stimulates the scalp and provides extra protection for maximum growth! While you may already know blow drying your hair can be damaging, did you know that towel drying your hair can also leave you with damaged hair? Most people, after hopping out of the shower, will grab their towel and start rubbing their hair to dry it off. Hold it right there! Instead, try gently squeezing your hair with your towel, and then run a wide-toothed comb through in order to remove excess moisture. 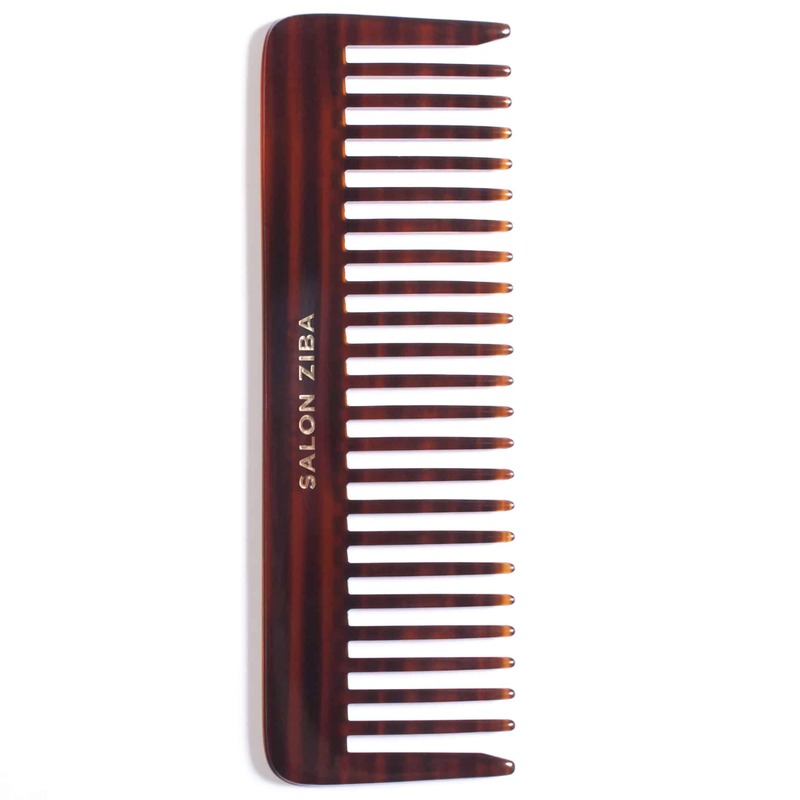 Of course, we have a suggestion for which comb you should be using: the Salon Ziba Tortoise Comb! Our comb is made with naturally-derived materials for ultimate scalp protection. As long as there are people, there will be myths and misinformation. Hopefully this article helped you make some important realizations about the way you take care of your hair! We’re proud of the products we carry; selectively chosen to provide you with the safest, hardest working ingredients and tools. We want nothing but the best for you and your hair! To see our full line of products, visit our online store using the button below.